Rebuild time. The nut and bolt financial ruin thread. 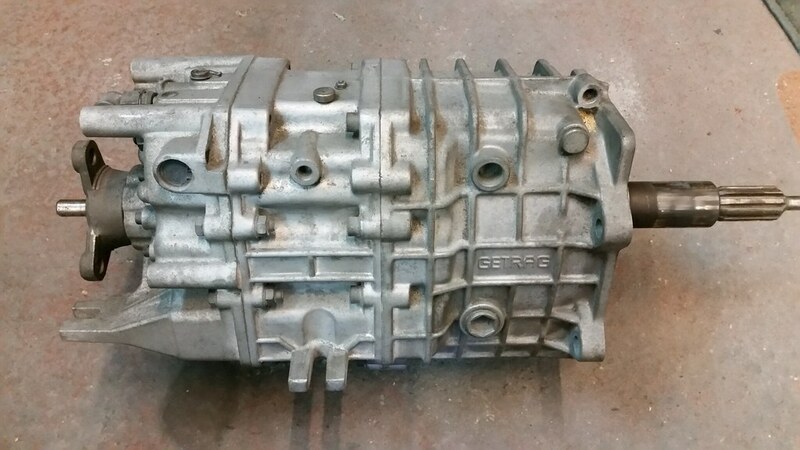 Next up to lighten my bank account is the Getrag 265/5 dogleg gearbox. This will have to go off to a specialist to be rebuilt. Have been collecting various parts for this over the past year as they come up on eBay and the like. 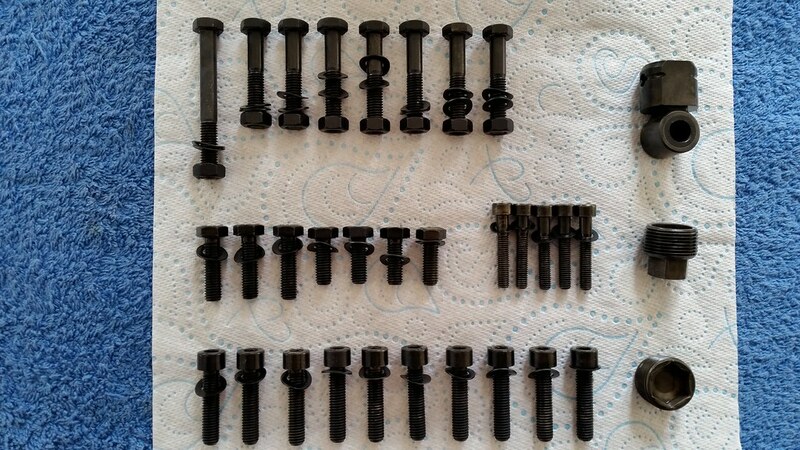 This is most of whats needed, including syncro, and all the bearings, seals, o-rings, various snap rings and bolts etc. 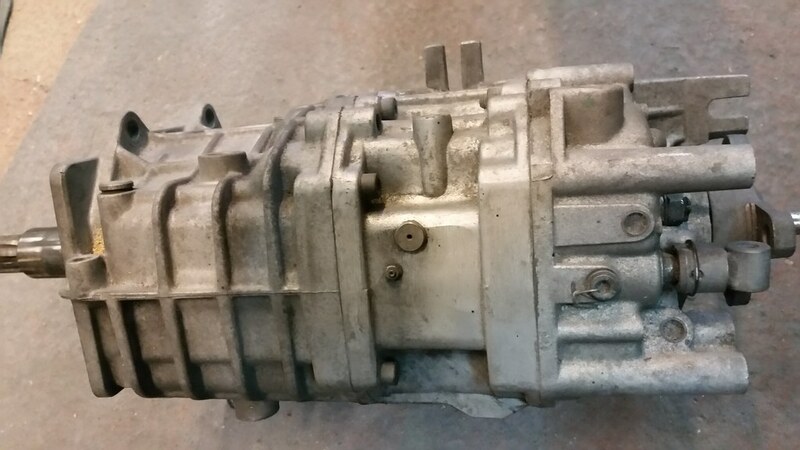 Meet one of BMW's most overpriced parts, the £230 bearing and sleeve. The case bolts have been removed and blackened ,along with the the shifter linkage and fill and drain plugs. That's pretty much how things are at the moment. The exhaust is away being welded , but other than that most of what I wanted to get done before moving onto the body is done. The engine might get stripped down and various bit vapour blasted and plated, but think the major engine work will wait until there is a painted rolling shell for it to be fitted to. Did You purchase ballbearings from BMW ? If they are not original bearings, You should check they have same size balls as original bearings. HI Harri, thanks for your comment. Only the expensive bearing shown alone is a BMW part. 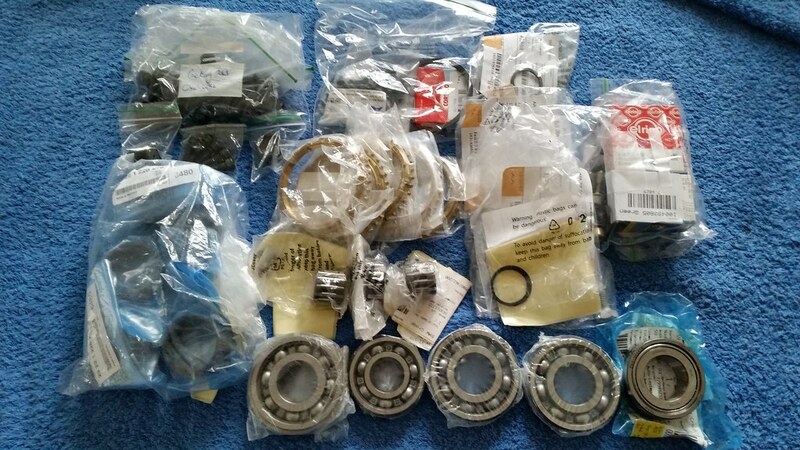 I was lead to believe three are just generic bearings and then two more unique bearings. The output shaft a FAG 6306/C3. Can I ask which bearings caught your eye and you think may be different than stock ? Awesome progress, thanks for sharing. Great work and I like how you repainted the shocks to look factory. My 265/5 got rebuild by professional year 2010. When I collected parts he advised me to buy only original ballbearings from BMW, generic bearings may have smaller balls and can't handle axial loads. Since this happened 2010, I can't remember generic bearing brands, bearing numbers and which one/ones makes problem. 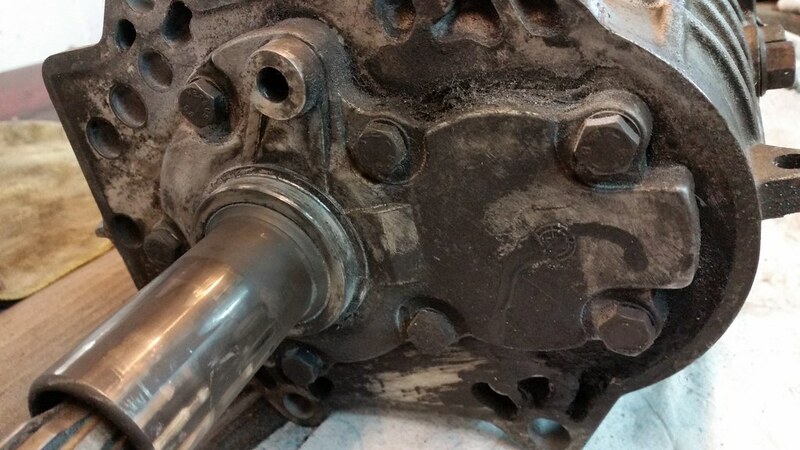 I remember he also told layshaft front bearing is fragile due it is "undersized". Thanks Harri, I will speak to the gearbox builder about this and see what he says. I had a layshaft bearing replaced not long after I got the car, so not sure whats in there now would be original BMW, or a generic part fitted. I looked at what BMW supplies, as ECS Tuning rather helpfully has pictures of nearly everything. 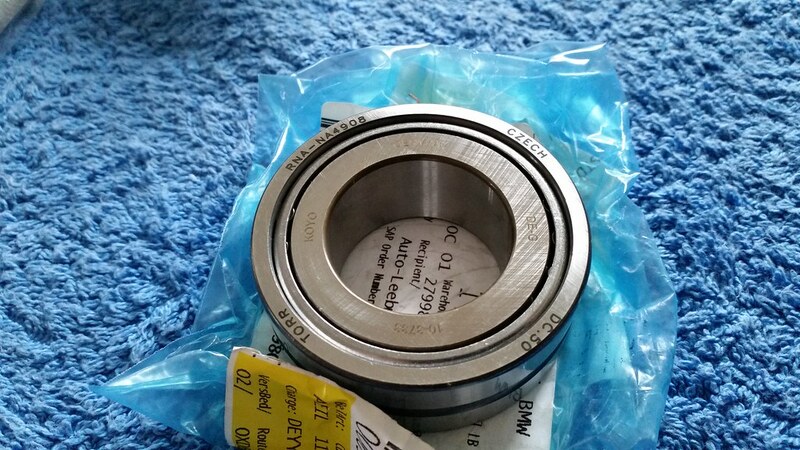 This is the front layshaft bearing which is also a FAG 6305/C3. The other numbers differ to mine and not sure what they relate to. My aftermarket part is marked ' FAG 6305/C3 H170-1747.HB ' . Last edited by BMG; 03-12-2018, 03:27 AM. ECS Tuning rather helpfully has pictures of nearly everything. Their catalog is really helpful that way. Some people have been negative on ECS recently, I continue to use them for just this reason. Similarly, this thread is a great ptoto reference. Thanks for taking the time to document all of this. I wish there were an ECS equivalent in the UK, but there really isn't anyone close. 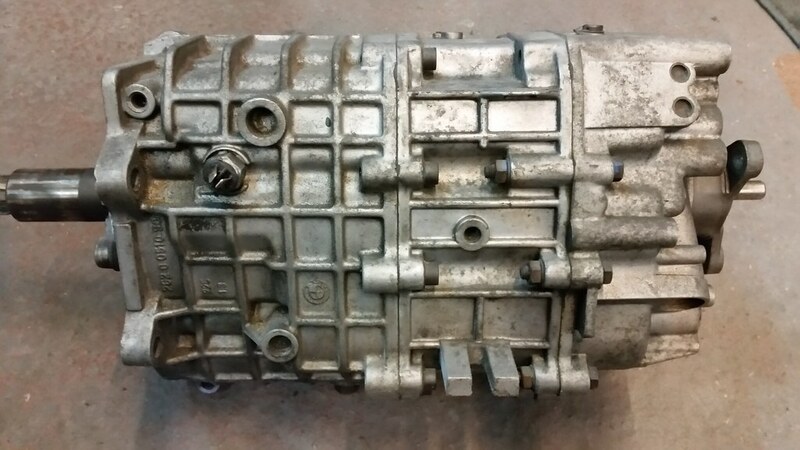 I find there website extremely useful and did order a new lower evo airbox from them, along with a couple of other bits that spread the cost of shipping. Looking great, really good work. Most of the blasting and powder coating , was all done in one batch, so all the suspension arm, struts, the long range fuel tank, anti roll bars etc. 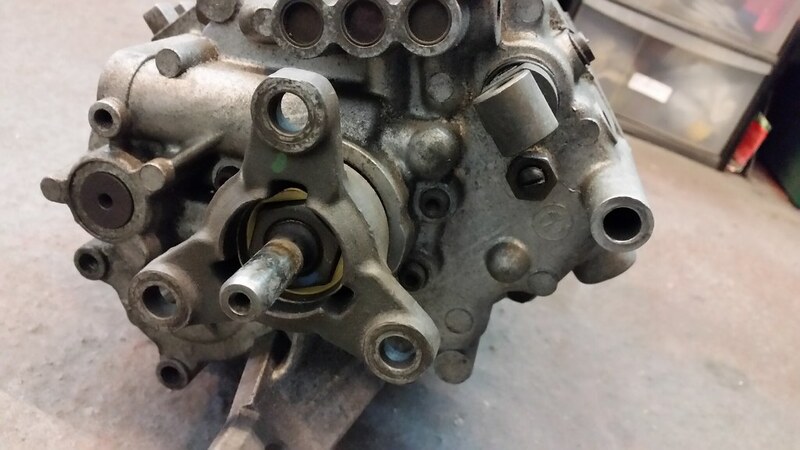 The diff was done in another batch with a couple of small parts like the fuel pump bracket. Some of the vapour blasted aluminium parts ( the upper sump , alternator, diff cover etc ) were done in one batch . TSR vapour blasting is 15 minutes from home and there is also a local powder coating company 20 mins away, so isn't really a problem if I need just one or two parts done. Amazing work Brian, not just in refurbishing the parts, but the pictures and detail. Nice throwback picture of us on the way to the Ring. Looking forward to the car being finished. Hi Toby. Those 'Ring trips were a real highlight of ownership, both in terms of enjoying the car, but also meeting up with yourself and the others from the forums. The group pic of the 6 cars at that little Nurburg village hotel is a real fave. How's things with you btw ? Haven't done too much over the winter, but it is still slowly progressing and need to finish up a few bits before looking to buy a rotisserie and start stripping the shell of all the underseal and getting a better idea of what bodywork is needed. All times are GMT-12. This page was generated at 11:50 PM.